Dynamo KS3 French Pupil Books help you to motivate pupils and build their key language skills with our pupil-friendly approach to learning grammar and up-to-date cultural content. Builds key language skills including translation, speaking, and grammar, with seamless transition to our courses for 9-1 GCSE French. A supportive logical grammar progression, revisiting key concepts and including clear features and grammar spreads at the end of each module. Up-to-date French cultural content to bring language learning to life - including songs, poems, authentic texts and quizzes. 'En focus' pages combine language from the module with GCSE-style tasks: including authentic and literary texts, role-play, picture-based discussions and translation. 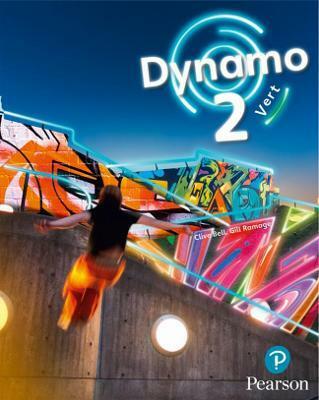 Dynamo 2 is split into parallel differentiated Pupil Books - Vert Pupil Books support with practice and consolidation through a wide variety of activity types.